Dear People. Here is this book, which is both mine and yours. I have tried to make it a good book. In these pages, I offer you knowledge and information which is yours by right anyway, but which others would rather you did not have. There will always be those who worry about the ability of others than themselves to use knowledge wisely. This book is about three drug-giving plants, and how to grow them, and how to prepare them for use. It is also about self-sufficiency, though this is only briefly discussed. May we all use drugs with moderation, respect, and hope. And may we one day transcend the use of chemical agents in the pursuit of that vision of unity of consciousness which began when each of us discovered as a child that by whirling madly about we could transform the nature of our perceptions, and make stars appear before our daring eyes. -- William Daniel Drake, Jr. 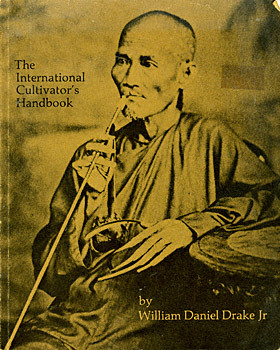 Hundreds of thousands of people have become experts in the most joyfull of horticultural pursuits due to Bill Drake's classic and indispensable Cultivator's Handbook of Marijuana. Chances are that no matter who is growing it or where they are growing it, Bill Drake not only told them how--but told them why they should go to the bother. And if that wasn't enough, he made the same vast audience sophisticated in Cannabis-lore through that dazzling ompendium of knowledge--the first and best coffeetable dope book--Connoisseur's Handbook of Marijuana. Now, in the International Cultivator's Handbook, the seeds are flung much much further.